In January 1936 the German Air Ministry published specifications for a new fast bomber that could carry over 1,100 pounds of bombs. The Junkers Flugzeug und Motorenwerke company responded by producing the Junkers Ju 88. Designed by W. H. Evers and Alfred Gassner, the aircraft had a maximum speed of 280 mph (450 km) and had a range of 1,056 miles (1,700 km). It was 47 ft 1 in (14.36 m) long with a wingspan of 60 ft 3 in (18.38 m). The aircraft was armed with 3 machine-guns and could carry 3,960 lb (1,800 kg) of bombs. The Junkers Ju 88 made its first flight on 26th September, 1939, and along with the Heinkel He111 and Dornier D017, were the main bombers used by the Luftwaffe during the Battle of Britain and the Blitz. Like other major aircraft used during the Second World War he was constantly being modified. Production continued throughout the war and a total of 16,000 were built by 1945. 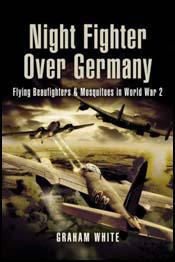 On 13th July, 1944, the enemy night fighter force suffered a serious reverse. We had begun to suspect that the enemy had greatly improved his methods of interception and the existence of new equipment was vaguely rumoured. It was, of course, extremely difficult to get information about the work of the German night fighters for the simple reason that they operated over Germany and neither aircraft nor prisoners of war were at all likely to fall into our hands. By an almost incredible stroke of luck the pilot of a Junkers 88 mistook England for Germany in July 13th and landed with his aircraft quite undamaged on an airfield in England. It was a Junkers 88 of the latest type and it contained two wholly new instruments for detecting aircraft in the dark. The first of these instruments,which had the code name of S.N.2, worked on a wavelength such that it could be jammed or confused by a type of Window already in use against the enemy's early warning system. We had in hand a small but sufficient stock of this type of " Window" and decided to use this at once, without waiting for a trial. We used it against the enemy night fighters for the first time on the night of July 23rd-24th in an attack on Kiel and it was at once proved useful. The use of the second new instrument, which had the code name Flensburg, was discovered when a night fighter pilot took up the Junkers 88 and used it in an exercise against our bombers. It was found that by this equipment the enemy could readily home on to the transmissions from a radar set with which most of our bombers had been equipped to give the crews warning of the approach of an enemy fighter. We had this warning equipment modified at once, and sent the Junkers 88 up again to see if it could intercept a considerable number of bombers which had been fitted with the modified warning equipment. It was found that the modification did no good, and the equipment was therefore discarded at once.